What do I do if I Smell Gas in my Home? Having a gas leak in your home is a very serious matter and should be treated as such. If there is a gas leak in your home you will be able to smell it. As a safety precaution and to enable speedy detection of a leak of natural gas, the chemical Mercaptan is added to natural gas to give it a strong smell. This unusual smell will be immediately noticeable if there is a gas leak in your home or business. If you do notice a gas smell, you most likely have a significant gas leak. If this is the case it is important to stay calm, do not use any light switches, do not turn on or off any appliances, do not use the phone, do not smoke or light any candles or matches and do not start any vehicles if you have an attached garage. Immediately evacuate the premises and make sure all occupants and pets have been evacuated safely. While evacuating your home make sure to leave the door open to help with ventilating the home. Once outside call your utility providers emergency number or call 9-1-1. Being prepared for a gas leak and being able to quickly identify if there is a gas leak in your home is important in keeping your family safe. Some things you may want to do to ensure your family is properly protected from a gas leak is keep your utility providers emergency number in a convenient spot in your home, this is so you can grab it while evacuating and can call them immediately. Install carbon monoxide detector near any gas appliances you may have in your home. If you are not near your gas appliance when it starts to leak or are asleep a carbon monoxide detector can save you and your families lives. 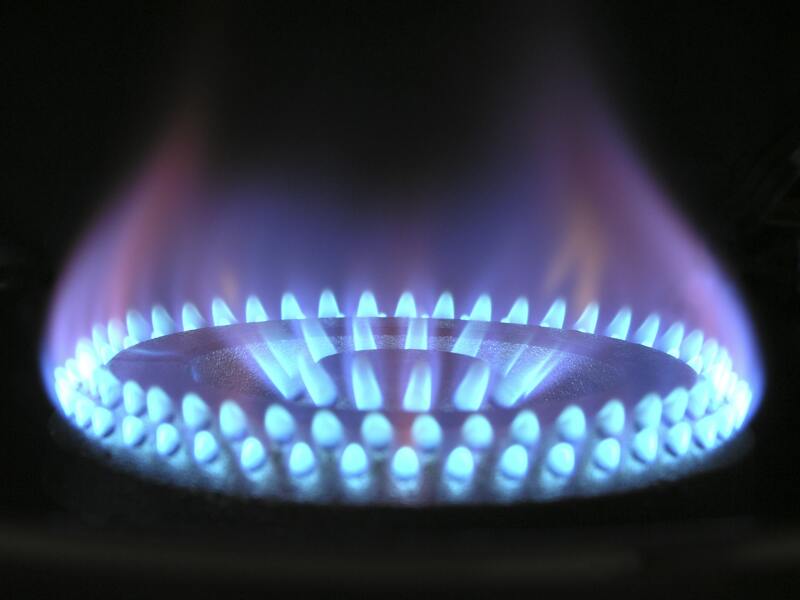 In some cases you may smell gas in your home because one of the burners on your stove was inadvertently left in the on position while no flame is present. Usually when this happens the smell of gas will be noticeable. If this has happened and the smell of gas is still very faint then turn off the burner that has been left on immediately and put out any flames that are lit. Then turn on the range hood fan to its highest setting and open all your windows and doors to air out your home. Gas leaks are dangerous and can threaten your family and your home. This is why it is very important to use a certified gas fitter when installing any type of gas appliance or doing any work to gas lines in your home. A certified gas fitter is highly trained and can complete any work related to natural gas safely and professionally. Under no circumstance should you complete any work that involves natural gas yourself. The highly trained and experienced gas fitters at Lone Star Plumbing and Heating can help you complete any type of gas fitting project while ensuring the safety of your family and your home. Do I Need a Sump Pump in My Basement? The service and quality is unmatched. These guys are true professionals. Highly recommended. Thank you so much for your service. Very professional knowledgeable and affordable. Thank you! Service was excellent, short notice. Peter was great to deal with. Would call them again. These guys will treat you like family. When you call in, expect non-nonsense advice and friendly service.